Life can be quite depressing when you find that you are on your own after you lose someone you love dearly. People may be there for you for a while, but after some time, they need to get on with their lives, leaving you quite confused as to how to deal with the loss, the sadness, and the loneliness. When you have been together for years, it can get quite confusing when a partner passes away. The feeling of utmost dejection can strike you ever so suddenly. Trying to communicate with the dead is not a nice way to get on; in fact, it does not let him/her rest in peace. However, talking things over with a counselor can help you see the situation from a different perspective. Grief is quite a complicated experience. In fact, there are different stages of grief. The final one is where you accept that you have to move on. To get to this step, it would require that you seek the help of a certified therapist, who can guide you through the different stages. Initially, the abject sense of loss and fear can cause you to cry constantly, as you feel a sense of desperation to talk to that special someone engulf you. The pain of not being able to see him/her, touch him/her can drive you to such an uncontrollable sense of loss. During the session, the professional will work together to help you recall the good times and reflect on them. As you remember the funny times, the tears will change to laughter and giggles. The realization then dawns on you that while your lives were meant to be intertwined, death is an eventuality. 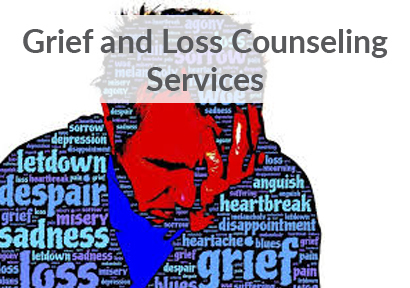 During the counseling session, one may have to deal with the fact that that the person, who has passed on, may have suffered. Hence, the importance of letting him/her go to a better place is very necessary. Mourning the loss of a loved one is natural, but carrying this on for years is not healthy. Many people keep moping, hoping that they can turn back time, but that will never happen. The objective of therapy is to cope with the loss. The professional cannot be too rude and expect the person to accept the ground reality. It takes time. One cannot mend overnight; it takes some getting used to not having the person near your side. In addition, one cannot expect kindness from everyone, in fact, you can expect them to run away when you are sad. Kids especially need their living parent to be there for them. It is quite cruel to them to keep on crying and never letting go. The objective is to accept that the love of your life has passed away, but his/her love remains with you forever. Visit Collaborative Therapeutic Services in Tampa | Brandon, FL, if you need expert advice and counseling. You will benefit, as the professional will help you get past the hurt, one step at a time.